Heeft u een vraag voor Maison Perumal - CGH Earth? 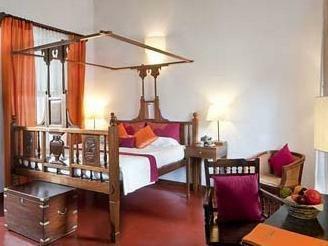 Maison Perumal - A Heritage Hotel, gebouwd in 1850, is een aanwinst voor Pondicherry en een slimme keuze voor reizigers. Het hotel ligt slechts 1.1 km van het stadscentrum: lokale bezienswaardigheden zijn dus snel te bereiken. Bezoekers van het hotel vermaken zich met de volgende topattracties die in deze stad te vinden zijn: Sri Varadaraja Perumal Tempel, INTACH Heritage Centre, La Casita House of Latin American Arts & Culture. Het Maison Perumal - A Heritage Hotel biedt tevens vele faciliteiten om uw verblijf in Pondicherry zo aangenaam mogelijk te maken. Gasten kunnen gebruikmaken van hotelfaciliteiten als gratis wi-fi in alle kamers, 24-uur beveiliging, dagelijkse schoonmaak, post service, taxi service. Ervaar kamerfaciliteiten van hoge kwaliteit, inclusief plasma tv, internet (draadloos), draadloos internet (gratis), rookvrije kamers, airconditioning, om tot rust te komen na een lange dag. Daarnaast garanderen de talrijke recreatieve mogelijkheden dat u zich tijdens uw verblijf kunt vermaken in het hotel. Ontdek een boeiende mix van professionele dienstverlening en een breed scala aan faciliteiten in het Maison Perumal - A Heritage Hotel. We simply loved staying at this boutique hotel, it is absolutely unique and we would love to return. The staff are amazing in every way, from the very moment you arrive you are treated with care and attention. The rooms are beautiful and the food is exquisite, we never went anywhere else to eat it was so good. The Chef deserves a special mention, his evening cookery class was so informative and the food perfect in everyway, loads of variety with top quality produce. A lovely location too, near everything but peaceful for a good nights sleep. Thank you one and all for your hard work and for the special visit we enjoyed with you. Highly recommend. This is a century old house that was refurbished but retains all its ancient splendour. Sam, the manager, and the 10-odd staffmembers are eager to please. Their welcome drink (lemon ginger) deserves a second/third helping. Rooms are comfortable and food is very good. They have a sister property in the French quarter that is modern-built but is also really good if you want to be next to the beach. You must stay here. Oasis of calm and peace. Can't wait to return. Staff very friendly and knowledgeable. Accommodation simple, clean but with all amenities. 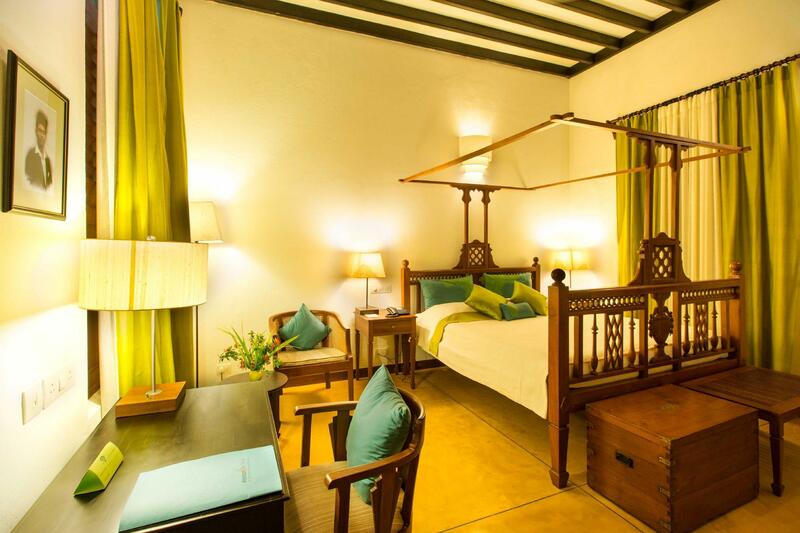 You step in from the hot, busy streets outside to a truly peaceful colonial building. It is cool with beautiful architecture, an assortment of plants and welcoming staff. The bedroom was so big and comfortable and turned out perfectly every day. Breakfast was tasty and plentiful. I would recommend this to anyone staying in Pondi for comfort, style and value. avoid at all cost room n°9 and 5 as there is some sort of engine (general A/C?) on the rooftop that makes an incredible noise all night long, even earplugs were hardly diminishing the sound. Otherwise, very cosy hotel and rooms. It's a boutique accommodation with traditional settings and hospitable staff. Key highlights include personal attention to details in design, helpful staff, good food, and peaceful atmosphere. We spent one month in India, mostly in the South, and Maison Perumal is so far the best hotel we had the chance to stay in. Amazing crew, really helpful ; lovely rooms ; great food freshly and daily made (including breakfast) ; possibility to use for free the swimming pool of the 'sister hotel' Palais de Mahé located in the French quarter or to book some Ayurvedic massages there (the best we've done!). Also the location of Maison Perumal, in the Tamul area, is so far more interesting than to stay in the French quarter... If you're looking for some piece of heaven in Pondicherry, you find the right place. Albergo molto accogliente, con ottimo rapporto qualità prezzo.